On 18th and 19th December Luisa Omielan will be performing her debut solo stand up show “What would Beyoncé do?” at Island Bar in Birmingham. The show, which Luisa says is “for the girls and the gays”, has been so popular it’s already seen four sell-out runs at the Soho theatre, and been greatly received at the Edinburgh fringe. What better way to watch comedy than with a carefully crafted cocktail in hand. 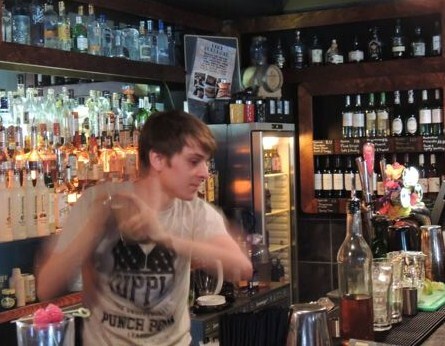 Being part of the small Birmingham group Bitters ‘n’ Twisted you can guarantee that the libations here at Island Bar will be great. We have first hand experience of all of the cocktails on the menu, as when the staff training on the new cocktail menu took place a couple of months ago (doesn’t time fly!) we were invited along to Island Bar to try all of the 50+ cocktails they offer. I particularly liked the Breakfast Martini – Chase Seville Orange gin, curaçao, and marmalade, served with a slice of toast. Also, for dessert, the Key Lime Pie. Yum. The Marmite Martini was of course controversial, and I was in the haters camp! 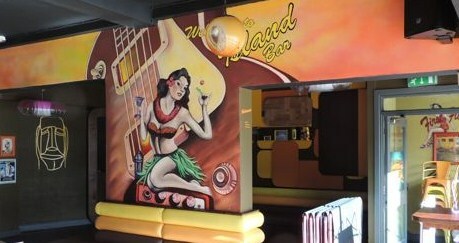 Upstairs at Island Bar is the Tiki lounge which has a specialist rum cocktail menu and a suitably Polynesian decor. Most cocktails are around £6 with great value offers in their daily happy hours. You can get yourself a loyalty card to earn points across all of the six Bitters ‘n’ Twisted venues here. We will be there to laugh with Luisa, so do tweet us up if you’re going! WHEN: Wed 18th & Thurs 19th of Dec, doors open 20.00, show starts 20.30 with support from fabulous local boy Aaron Twitchen. Cocktail offers all night. £10 on the door, £8 in advance by either emailing info@iloveluisa.com or tweeting @luisaomielan. This entry was posted in Special Event and tagged Out In Birmingham, out in brum, OutInBrum, Where To Go In Birmingham. Bookmark the permalink.